Windows 8 Ultrabooks - the next big thing? An analyst specialising in Microsoft activity has predicted that 2013 should be a pretty good year for the company, based on what it sees as the next big thing: the Ultrabook Touch. The Ultrabook Touch range is set to be populated with thin, touch-screen enabled notebooks running Windows 8 – the Ultrabook moniker is only awarded to laptops that meet Intel's strict specifications. Analyst Rick Sherlund reports, "We are bullish on fiscal 2013, anticipating a rich year of new products in high margin businesses including the launch of Windows 8 on a new breed of Ultrabook Touch devices which we believe will generate a compelling upgrade cycle." As a result, Sherlund gives the thumbs up to investors on Microsoft's stock – not because 2012 looks particularly good, but "because of the trends we see looking out to fiscal 2013 and 2014". 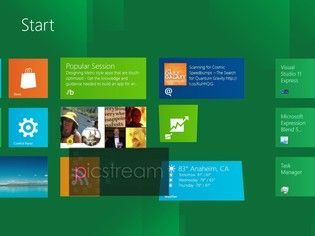 While Windows 8 is expected to hit the world's PCs in late 2012, Microsoft previewed the new software earlier this year – in fact, we've already had a shufty at it ourselves, which you can read about in our hands on Windows 8 review. We've even got a video of the software for your delectation – check it out below.